Global collaboration and breaking down silos across individual brands and functions has been the key ingredient to transforming Holland America Line’s digital experience for customers, its marketing leader says. Speaking at this year’s Adobe Summit in Las Vegas, the premium cruise provider’s VP of digital marketing, Jarvis Bowers, shared how the 140-year company, a division of Carnival Corporation, overhauled and relaunched digital platforms in order to improve guest experiences. The work ties into a wider shift spearheaded by Carnival CEO, Arnold Donald, to better leverage the scale of the whole group, its data sets and technology assets in order to unify and improve the experience guests have both physically and digitally across the entire portfolio of brands. An initial step was rolling out Adobe Marketing Cloud in 2016 in order to start standardising data, how customers were attracted and acquired, and aligning experiences across all brands, Bowers said. This led to a relook at the website journey of each brand. For example, having an inside-out view on the website meant Holland American line had a proliferation of pages with “no rhyme or reason” to them, Bowers said. “That creates roadblocks and roads to nowhere,” he said. “We wanted to create an experience that has a beginning and end and helps guides guests to where they need to go. The new-look Web experience is about content that’s choreographed, not just curated, and is more functionally simplistic while being more brand focused, Bowers claimed. Key new elements include a search feature that allows guests to search by places, port of departure, dates and duration. There are also interactive maps to visualise showcase the types of physical experiences guests can have on one of the group’s cruises, premium content supplied by Afar magazine, and work is underway to integrate user content. Other priorities were to allow guests to imagine, share and archive experiences, and in a way that augments the on-board experience, Bowers said. 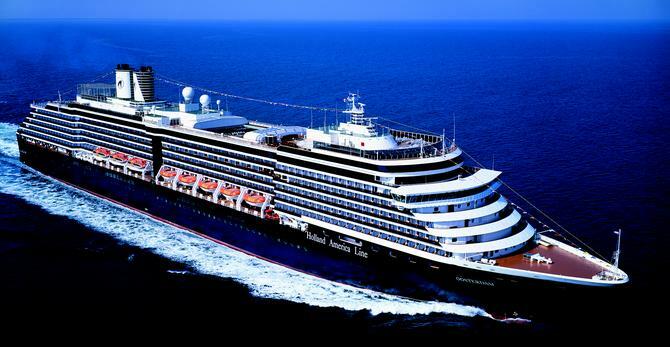 To date, five of the nine group brands are on the platform, starting with Holland America Line. But while the technology and digital sophistication of the site is obviously important, what made it possible was that it was a true collaboration effort, Bowers said. “To say we operated autonomously as teams, was an understatement. As a business, we just didn’t collaborate before – we weren’t even sure we liked each other,” he said. “The challenge was to work more efficiently together. Bowers pointed out the Costa brand, for instance, launched on the platform just a day before his speech at Adobe Summit, leveraging the same components but with a different brand CSS over the top. As well as investing in Adobe technology, Holland America brought on Sapient Razorfish to help with the digital overhaul. “This means Costa can emote its brand in a way that feels natural to that brand, while simplifying development,” he said. Across the board, the benefits already include more brand experience and emotional connection for consumers based on research, Bowers said. Internally meanwhile, the Holland America Line team is benefitting from test and learn principles driving continuous improvement, the ability to share best practices globally as well as proven partners, and seeing greater efficiencies around digital development and design. “It was a huge step to launch the site, but an even bigger step is how teams are now working together,” Bowers said. “Every six weeks, we get together as five brand participants at a global summit… and try to solve common problems. It’s breaking down silos to talk more about how we build a digital business and less about why each brand is different. There’s still plenty of work to be done to get the internal focus on customer first, Bowers said, but the fact teams are collaborating is a huge step towards this as well. In line with this, he noted the importance of telling stories from the customer’s perspective. “Storytelling is a term that can be dangerous,” he said. “Too often internally, you get enamoured with stories you want to tell. Holland has a great culinary history, for example… we have a great story to tell and we want to tell it. But what does the guest need to know to make the next decision? What do they need to know that’s going to help them and that is relevant at the right time? - Nadia Cameron travelled to Adobe Summit as a guest of Adobe.